At the start of July, I reported on the development of the new “social” web profiles. Linden Lab have confirmed that the new profiles will be officially live from later today. The new web profiles bring a number of interesting features to your profile pages at http://my.secondlife.com, including a Feed capability that allows you (and those to whom you allow) to make comments on your “Feed” page & the home page of your profile. This system is interesting, but not without its limitations at present. One of these is that in order to see someone else’s comments made to their own profile, you need to Friend them first. This means that any content creators using their Feed to make product announcements, etc., are going to be getting a lot of Friendship offers – which could be irritating in the first pass, and lessen the overall impact of the service. That said, Fredrik Bjork (Fredrik Linden) has indicated that features that will allow “non-user profiles” for stores, etc., will be added in time. One thing that has been added since I first looked at these features is Twitter integration: if you have a Twitter account, you can make a comment on your Profile feed and have it appear on Twitter. 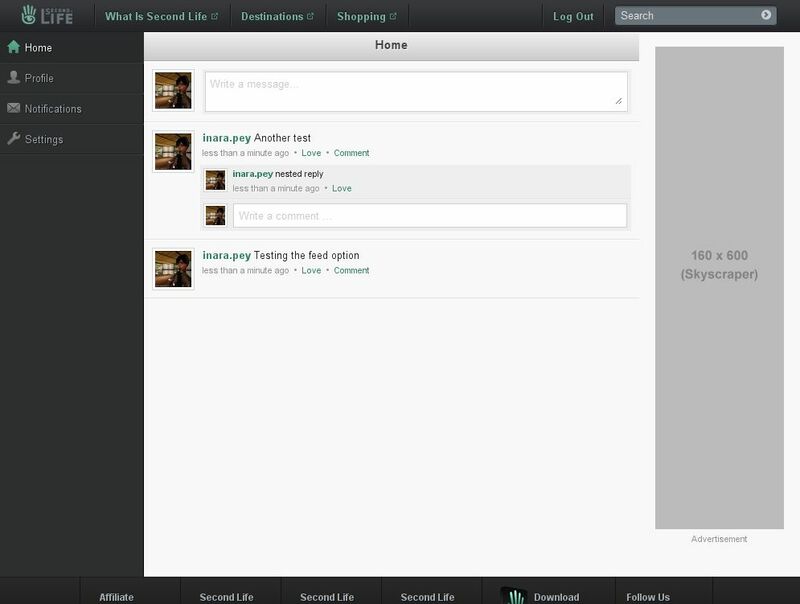 Similar integration with Plurk has been promised. I’m still not totally convinced as to how these new features will be received by users; I rather suspect that those of us already using the likes of Twitter are probably not going to be greatly influenced by the initial offerings – and may not even be tempted away at all, for reasons Tateru Nino explains very succinctly. Nevertheless, keep an eye on your web profile and see what you think when the new options are live. For those wishing to opt-out of the new FEED option of web profiles, you can now set your FEED privacy to NOBODY – meaning no-one can see your feed or comment on it. Go to http://my.secondlife.com/first.last – log-in if required, then select SETTINGS on the left of the window, then click the PRIVACY tab and set FEED to NOBODY in the drop-down list of options. Plurk integration is now available.